Hardcover, 6.75 x 9.5 in. / 216 pgs / illustrated throughout. With shifting roles among governments and a troubled financial market, Dutch spatial planning is being radically reconfigured, with more and more tasks being tackled at the regional scale. This means that regions will have to shape their own perspectives on how they are to develop spatially. They must create distinguishing narratives that pick up on global trends and local initiatives. 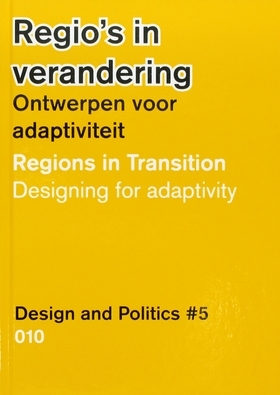 Regions in Transition is the fifth publication in the Design and Politics series, an initiative of the Ministry of Infrastructure and the Environment on the interplay between planning, design and politics. This volume provides new guidelines for developing regional planning narratives. 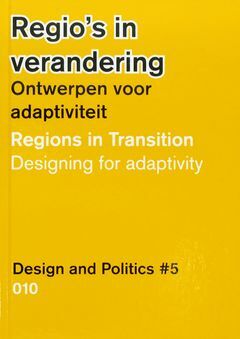 Spatial planners at the University of Groningen and partners in two design practices, Zandbelt&vandenBerg and Fabric, address the issue of how regions can give shape to their own spatial development in a way that is of value for the Netherlands as a whole. FORMAT: Hbk, 6.75 x 9.5 in. / 216 pgs / illustrated throughout.